In searching for a psychic, there are some things to look for and to be aware of. If you could find a GPS for your life, would you be interested? That’s what I do: I provide guidance, insights, tools and techniques to help you find clarity, direction and reduce your stress. 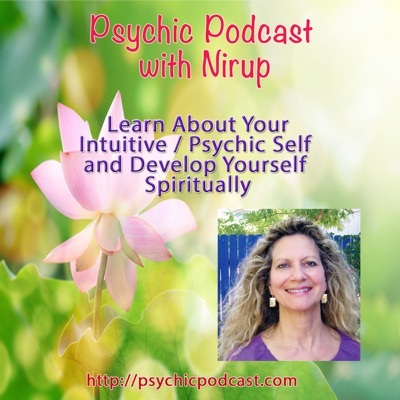 What makes a great psychic?…. After all you are entrusting your important questions, and vulnerability to someone who you do not know, when first seeking out a psychic. It will be good to make note of some of these points below, in order to help you to get the best possible reading and someone you can also trust. 1) Referrals from friends, who have had a good experience or positive reviews of psychics from online, Trip Advisor, Google, Yelp, etc. Make a point of going to a professionals website, be cautious of the 1-800 numbers with lots of psychics. The majority of these people are not real psychics. Be able to read up about your psychic and see a photo of them, a REAL photo of the person says a lot. Look into the image and get a feeling of how they make you feel, comfortable or uncomfortable, can you trust or not trust, what is your gut feeling. On the psychics website look at their credentials, not only that they call themselves a psychic, but other trainings they may have had. Some professional psychics also work in other modalities, such as counseling, hypnosis, spiritual readings and healing. Some Psychics have specialties – Medium-ship, Medical Intuitive, Tarot, Angel Readers, Akashic Records Reader, Working from the Light Realms. If you are wanting to connect to a loved one passed over, then you want to make sure they are really skilled in medium-ship readings. The more the psychic has balanced their own lives in a spiritual and mature way, and has integrity in dealing with clients, you will feel comfortable and get a good reading. If a psychic is not clear in their own life, their readings can be clouded and they may not be seeing the situation clearly, and give bad or false information. A psychic has a responsibility in how they deliver the information to a client in a supportive and caring way. I have found that some psychics may be able to read you, but they have no filters up of what they say, or how they say things to the client. Seek out a psychic that really cares about people and wanting to help them in providing guidance and support, not that they just want money for their services. Sometimes during a reading the psychic will reveal the truth even though you might not want to hear it or find it hard to hear it. What comes through from the psychic is coming from higher source and there are messages for you. Sometimes making change is hard, or standing in our truth and power and making new decisions in our life, and changes within ourselves. Remember you sought out the psychic for a reason, if it is difficult to hear, take some time to review and process it and see if it fits, if it feels right. You always have the last say in how you take what the psychic says, and what you are going to do with it. Make the right decision and enjoy your reading. If you have any questions about how I work with clients and how I may be able to support you in your life, please email me from my contact page. I would be happy to support you in a psychic reading, spiritual and intuitive counseling, emotional healing or if you are looking to grow spiritually.